It’s easy to grow valerian. Though it can get tall and can be knocked down by wind, it’s generally tolerant of both heavy and light soil. The flowers smell gorgeous in summer and attract bees and butterflies. In autumn you dig up some of the roots to use. Valerian is used as a mild sedative and is taken as a tea or in capsules. The way it works is by gradually making you drowsy and you fall into a natural sleep. Best of all, there’s no hangover in the morning like you’d have with conventional sleeping pills. 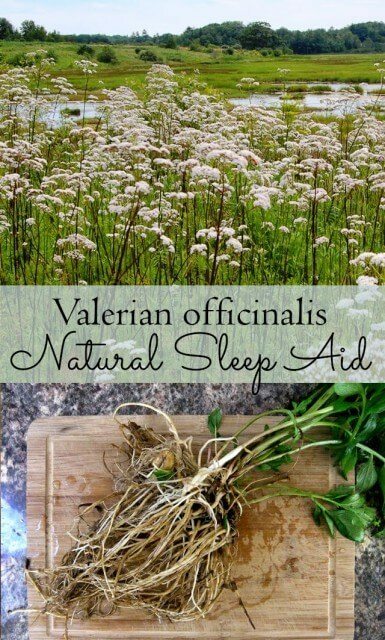 Valerian is non-habit-forming which is a good thing if you have irregular sleep patterns. 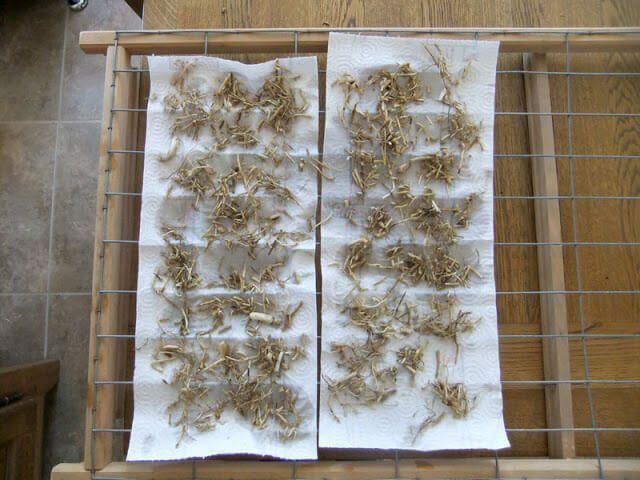 You use second year roots for this purpose and once dried they can be simmered into a strong-tasting sleepy tea. Blend valerian with better tasting calming herbs such as chamomile, passion flower, and lemon balm if the flavour is too strong for you. The taste is why some people prefer to take valerian in capsules. You can fill empty capsules with your own dried herbs and keep them stored for up to a year. Valerian has a second use that might surprise you. Its pungent scent is irresistible to many cats and they’ll go absolutely mad for it! It causes cats to start drooling and rolling around until they’re properly silly. If you have a cat that isn’t keen on catnip (it does happen) it’s good to know that Valerian can have the same effect on them. Giving your kitty a little valerian before taking them into stressful situations can calm them down. 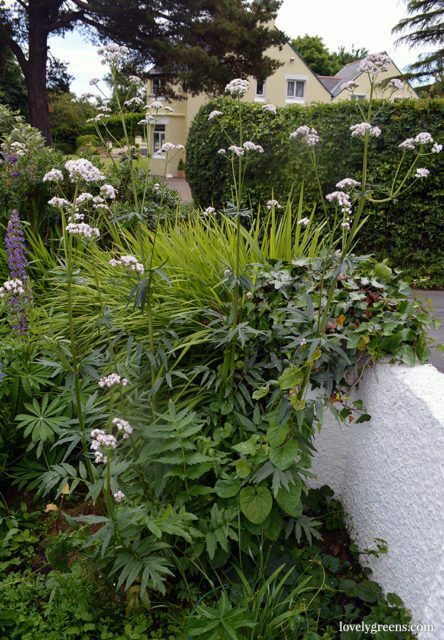 If you have space at the back of a border, definitely grow valerian. I started mine off as seeds that I sowed in spring. I let them grow in the seed tray until they had true leaves before planting them into large modules. They were about three inches tall when I planted them outside. That first year the Valerian plants grew about 2.5 feet in height and then died down for the winter. They regrew this year sending up new leaves and tall flower spikes with beautifully scented flowers. You can increase the medicinal strength of the Valerian root by removing the flower stalks but I left them on for the bees. 2017 update: I’ve been growing Valerian for six years now and can add that it does well in both clay soil and lighter soil. I’ve given it the occasional mulch of composted manure but have left it to do it’s own thing most of the time. What you should be aware of is that in a good situation it can grow to five feet in height and needs staking. Otherwise you’ll find your plants knocked over by both the wind and their own weight. 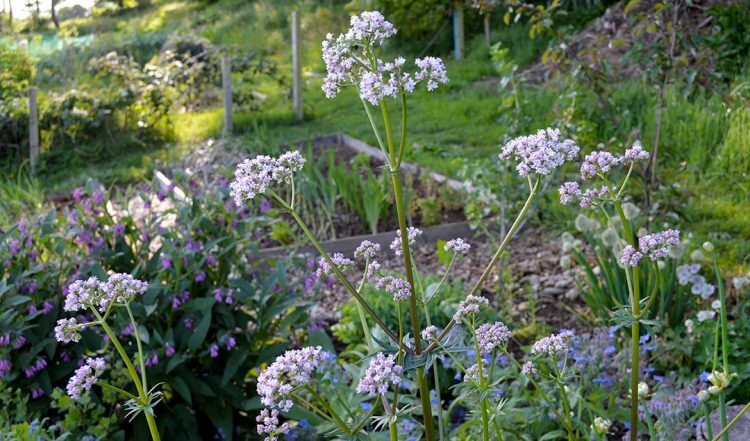 You don’t need seed to grow valerian. The plants can send out runners that you can transplant elsewhere and you can also use root divisions to create more plants. 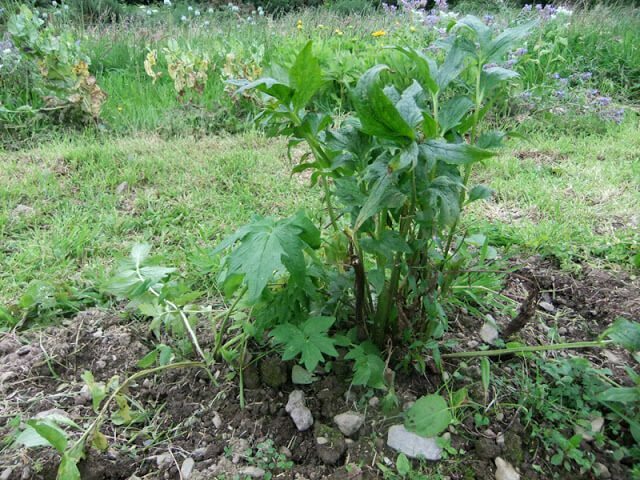 In spring or autumn dig up the plant and chop it into a few pieces with leaf, crown, and roots attached. Replant and you’ll have more plants. Valerian also self seeds so you can transplant the volunteers if you wish. Last week, and after nearly eighteen months of growth, I harvested two of my plants. To grow valerian is an investment but a worthwhile one! 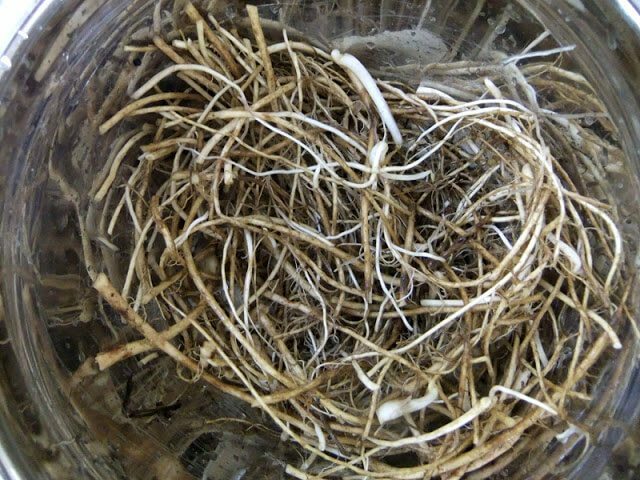 Valerian has long spindly roots that dig up easily but take a lot of cleaning. I can recommend spraying them with the hose to loosen any hard clumps of soil. Scissors are a great way of cutting the roots off the plant and then give them another wash afterward. Next, cut them to about 1/4″ in length for drying. You can compost the rest of the plant or if there are enough roots attached, you can replant it for next year. I’ve tried it and it works, especially if you remove most of the leaves and cut the plant down to about 6-8″ in height. There are at least two ways to dry Valerian. The first is to spread the pieces out on drying racks and to let them dry naturally in a dim and airy place in the home. A drying cupboard if you have one would be ideal but I’ve dried Valerian in my garage and it works fine too. It can take up to several weeks for them to dry this way — you know they’re dry when the pieces are dark and brittle. The other way is to use a food dehydrator. Each model is different so follow the instructions that yours comes with as far as temperature and time. 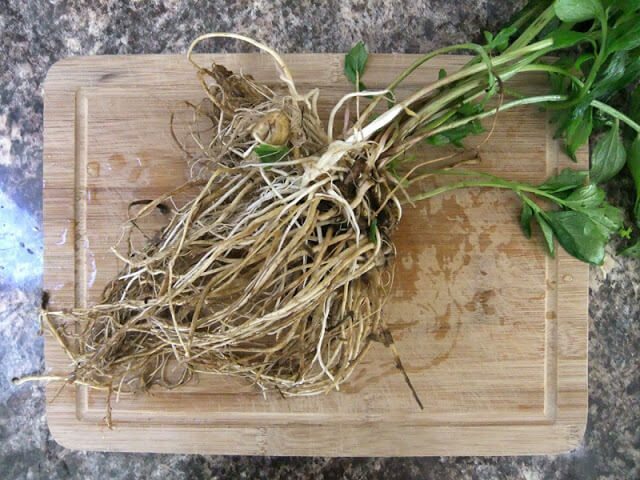 It’s likely that your Valerian roots will be fully dried within a day this way. To make a Valerian tea you prepare it as a decoction — basically you need to boil it. Place 2 tsp of the dried herb or 5 tsp of the fresh herb into four cups of boiling water. Boil for a minute then turn off the heat. Cover the pot and let it seep for half an hour before straining out the liquid. Drink 2-3 cups before you want to go to sleep. If you’re having sleeping issues due to a cold or flu, these herbs can help you recover. My winter experiment is happily successful ! I harvested many leaves off my tall valerian last August. This winter I have made herbal tea with 2tsp wild dried mint, a scant tsp of valerian leaf, and honey to taste. Works for me! I get noticably drowsy after about 1/2 hour. I do not need it every night, probably just once every week or two. This works like a charm for me, with no morning grogginess (well… beyond my normal – not a morning person). I have used the root capsules in the past but find them too strong in both effect and odor for my liking. It is a pleasant thing for me to use the leaf. a little research in the plants book, and I am realizing that there is quite a variety of valerian. 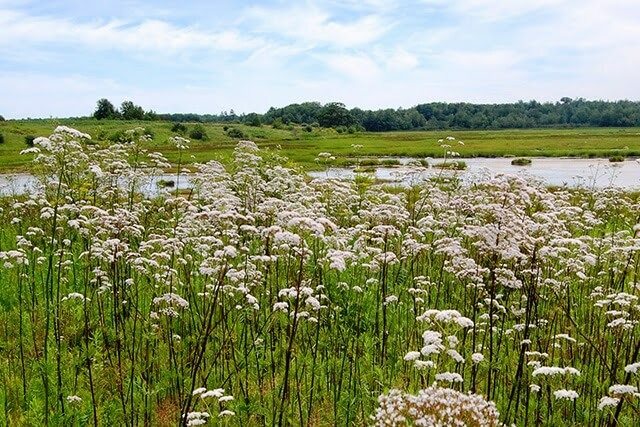 The one here in the boreal forest of CANADA is probably ‘Valeriana dioica’ – and perhaps in England it would be ‘Valeriana officinalis’? I need to find an expert to confirm my plant ! I have a lovely valerian plant that was gifted to me by the birds I think ! It does grow wild in the woods in our area – NE BC Canada. So I have been enjoying the look of this tall plant in the back of my perennial bed for a few years now. I haven’t tried digging it up for the roots, and this year I’m going to try drying some leaves and will make tea for starters. I want to grow this valerian plant to use as a sleep inducer.Plz tell me where i can get it? I was wondering if it is safe to use a dehydrator? Does it damage the oils? I use Valerian capsule daily for my 2 of my dogs, do you know of any dangers of long term use? I’ve not tried it yet but I don’t think it would harm the valerian at all if kept under 50C. A dehydrator would certainly speed the drying time up! Informative article, thank you. I picked up a Valerian plant last summer at the garden center, but wasn’t quite sure how to harvest it, so I just left for the winter. I was pleasantly surprised this summer when it shot up to 6 feet tall with tons of little white flowers. I don’t notice a bad smell, but maybe that’s just me. It’s a hardy plant, even with a stem breaking, that stem continued to grow and thrive. I did read somewhere that you can use the leaves and flowers to make tea, and it has a sedative effect. Now I know when and how to harvest it, and then how to use it afterward. Thank you. They’re super hardy and will keep growing back each year if you let them. The smell of Valerian actually comes from the roots rather than the above-ground parts which is why you haven’t smelt it…yet! I wish you loads of success and a bit of fun in harvesting your first homegrown natural sedative. Roots from second year plants are better anyway! Hi Tanya, I am doing a school project on Medical Plants and I have chosen Valerian to be one of the plants that I'm researching and I was wondering if you knew where Valerian grows the best? Hi Tanya, my valerian seedlings have just poked their heads through and I've been reading up on how to grow them on. Your article was very helpful, thanks, I came across another article, which I can't seem to find again but I think it said that only second year roots should be used for medicinal preperation but I can't be sure now. Have you any knowledge of this? Second year (or older) roots for harvesting and take them in the late autumn/winter. Saying that, I dug up more this week and think they should be fine. The idea is that you want to have the roots when they're their strongest – after a good long summer and with no leaves or flowers to feed. Thanks Tanya. I'll probably grow one plant just for seed and let the others mature without flower stalks for root harvest next autumn then. do you know if the leaves are safe to eat? Hi Pal, to be honest I've no idea. I've never considered eating them before and don't think I've come across a reference of people using them for anything before. Would be well worth some investigation! Where do you get valerian? I could really use a sleep aid. It used to be a bit more readily available before 2010 – see my response to the first comment. Nowadays the best place to buy it in the UK would be online from a reputable chemist (pharmacist). You can get some decent quality Valerian capsules from Auravita for around £8. I have never grown Valerian but I did know about it's properties. I didn't realise it took so long to dry the roots out. What are you going to do with it when it's ready?? Hi Lynda 🙂 My experience in growing Valerian is that it's fairly easy to control. But I imagine that if you leave it growing without harvesting the roots or weeding out and moving the seedlings (which emerge from self-sown seed) it could become a large patch within a few years. I've read that some people choose to plant their Valerian in less-visited areas of their garden or even in containers. Maybe that would be a good option for yourself? Lovely post on Valerian. I can personally attest to its effectiveness as a sleeping aid. 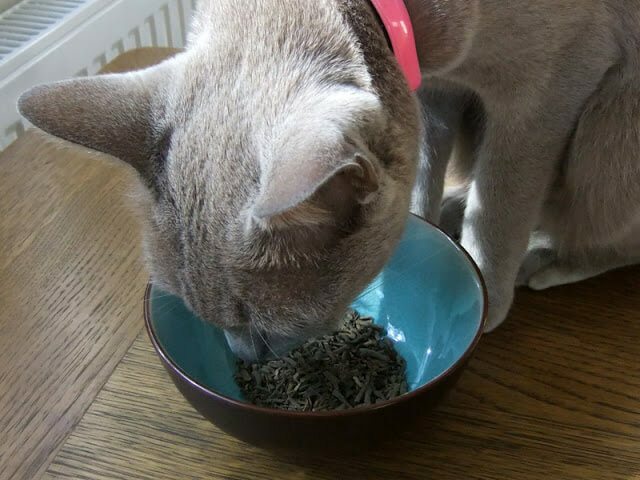 Although I have never grown or bought the root, I buy and use "Rest" tea by Tazo, whose main ingredient is Valerian. I brew a cup and within 30 minutes get extremely drowsy and drift off to sleep with ease! It's pretty potent stuff isn't it? I'll have to look up the Tazo tea and see if it's available in the UK. The tea I used before is called Peace and was made by Fushi, though I don't think they offer it any longer. My guess is that it's because a new set of UK legislation on herbal remedies and ingredients took effect in 2010. Since it's now quite expensive to purchase commercial licenses for herbal medicines I think a lot of small businesses have opted out of buying them.